I may not have a Youtube channel, but most of my entertainment comes from very talented people who create all sorts of amazing content. NC: ...it only figures to talk about...I'll just say it...what I think is a weirdly beloved modern version. 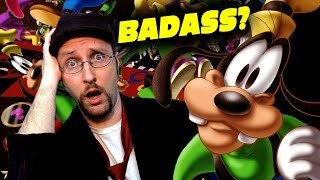 We start our review in the Nostalgia Critic's room as he rests his head on his hand before he turns to Rob. He's a dinosaur. NC wakes up to a snap, startling Rob and making him drop his magazine. Rob: Dah! What the h***? He's not gonna use this part as a meme, is he? NC: (rubbing his head) Sorry, I just had a nightmeme. NC: DAAAAAAH! 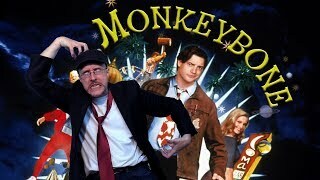 God, I hate this movie. I hate it so much; and yet, I always find out that I'm part of a small minority on this. There's no reason for this text, it's just to hear that awesome "boom" sound again. (one of those booms is played) Don't forget "wooo-wooooooo, woo-wooo." (the whistling sound is heard) Nice. NC: And, yes, you read that correctly, we are reviewing Jurassic World. But you might be wondering: How the h*** can we do that if it's still in theatres? 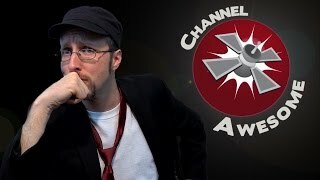 NC: Hello, I'm the Nostalgia Critic. I remember it so you don't have to. Jurassic Park. Malcolm: My God, that was amazing. Tamara: (driven to tears of joy) Even better than I remember it. John Hammond: Ay. Spared no expense. Besides two videos from people I watched, went with my mom to a place called Pha, a Vietnamese restaurant where we get their bowls of soup. She was supposed to give me a Nintendo 2SDXL, but forgot her Target Credit Card. Will probably get it on the 8th this months. 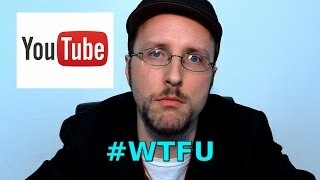 I don't normally do this, but I gotta give a shout out to some channels are are getting hit hard by Triggered Corporations because of used footage and whatnot. Yeah, seems some corporations hate some talented creators that make people laugh on a daily basis. Next up, we Have Jontron. We've wrapped up the second segment of the "Past Sins" first draft. Great hustle, people. This week's a festive one: our Stocking Stuffer Shuffle! You'll be riffing a selection of five stories themed around Christmas and/or Hearth's Warming. Enjoy! The update's a bit late tonight, voting was hell. Here's the shuffle, go read that if you want. For Christmas week, we have... more Sonic RR. Have fun with that.